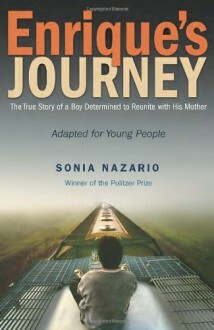 Based upon the author's highly praised adult work, Enrique's Journey is the amazing and heartbreaking true story of Enrique, a teenager from Honduras who sets out on a journey, braving hardship and peril, to find his mother, who had no other choice but to leave him and migrate to the United States in search of work. The accessible text for young people will capture hearts and resonate among readers. It bring to light the daily struggles of migrants, legal and otherwise, and the complicated choices they face, not necessarily for a better life, but rather to simply survive and provide for the basic needs of their families. An epilogue will update what has happened since the adult edition was first published.